Neeraj Roy, co-founder Hungama Digital Media Entertainment Pvt. Ltd.
Admiral Adhar Kumar Chatterji, Indian Navy Chief between 1966 and 1970. Swami Vivekananda– the photo was taken in Bushnell Studio in San Francisco, 1900. Allama Azizul Haque, translated the Sahih Al Bukhari into Bengali language. Vidyadhar Bhattacharya (1693-1751), the chief architect and city planner of Jaipur, Rajasthan. Along with Sir Samuel Swinton Jacob, he is credited as the architect of City Palace, Jaipur. Brojen Das was the first Asian to swim across the English Channel. 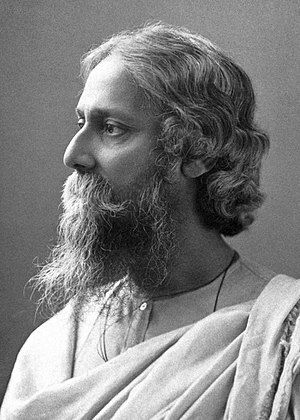 Paresh Lal Roy, known as the "father of Indian boxing"
Krishanu Dey, footballer, known as the "Indian Maradona"
Rabindranath Tagore is the first Asian Nobel laureate. Bankim Chandra Chattopadhyay (1838–1894), novelist, essayist, penned the Indian national song of integrity "Vande Mataram"
↑ "Swami Vivekananda Known Photos America 1899 – 1900". Swami Vivekananda. Frank Parlato Jr. Retrieved 10 March 2012. ↑ "Jaipur — The Pink City". Archived from the original on July 17, 2011. Retrieved July 5, 2011. This page was last modified on 18 June 2018, at 02:01.